The Ghost Ship master tenant violated the DIY ethic of Oakland’s underground warehouse scene, and his irresponsibility led to the deaths of 36 people. 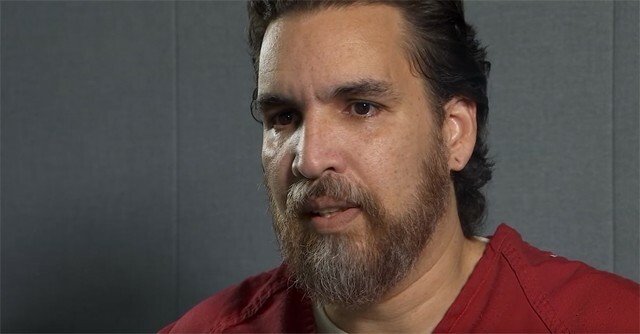 Derick Almena admitted in his recent KTVU interview that he jury-rigged the Ghost Ship's electrical system. As the one-year anniversary of the Ghost Ship fire approaches, it’s clear that plenty of people and agencies deserve blame for the deaths of 36 people on Dec. 2, 2016. Prosecutors have charged master tenant Derick Almena and the warehouse’s artist director, Max Harris, with 36 counts each of manslaughter. There’s also strong evidence that the building’s owners, the Ng family, were aware of the dangerous conditions inside. The city’s police, fire, and building inspection departments also knew about the warehouse’s hazards. And PG&E probably should’ve known that Almena had jury-rigged the Ghost Ship’s electrical system by connecting it to a next-door building. But it’s also clear that Almena deserves the most scorn for the tragic blaze. He’s the main reason why three dozen people died. And his actions are mostly responsible for why Oakland’s once-vibrant underground warehouse scene has vanished in the past 12 months and for why landlords have been evicting tenants from illegal warehouses throughout the city. Oakland’s underground warehouse scene had thrived for decades, and it was based on a DIY ethic and unwritten agreements among artists, tenants, landlords, and city officials. But Almena violated those unwritten understandings, and his irresponsibility put innocent people in harm’s way. For years, city officials declined to crack down on unpermitted warehouses because those spaces were well suited for Oakland’s many struggling artists and musicians and helped foster The Town’s arts and culture scene. The buildings, which likely would have otherwise remained vacant, provided much-needed live-work spaces, and they were cheap. Without them, many artists and musicians would’ve been forced onto the streets or out of Oakland. The spaces were affordable because everyone who was associated with or was aware of the warehouse scene knew that landlords were renting the buildings “as is.” Sometimes, landlords themselves turned the spaces into illegal housing, but oftentimes, tenants did so. And everyone involved knew that if the city cracked down and forced landlords to bring the warehouses up to code, the buildings would’ve become too expensive for artists and musicians to live in. But not Almena. He knew he had created dangerous conditions in the Ghost Ship. 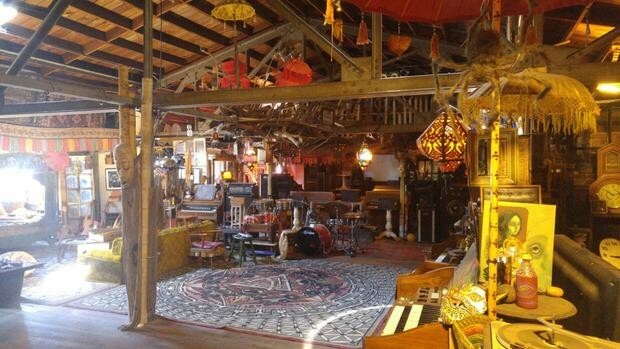 In a recent jailhouse interview with KTVU, he admitted that, two months after he moved into the warehouse in November 2013, its electrical transformer blew and he jury-rigged electrical wiring from the building next door to power the Ghost Ship. And Almena profited from this dangerous setup. Prosecutors say he allowed up 25 people to live and work at the warehouse at a time and charged residents between $350 to $1,400 a month each in rent. The total rent he paid monthly to the Ng family was $4,500 — so he appears to have collected much more in rent from his subtenants than what he had to pay the Ngs. In addition, knowledgeable sources say he and Harris charged much higher fees to music show presenters and other event promoters to use the Ghost Ship than other underground venues charged in Oakland. In his interview with KTVU, Almena argued that the Ng family also shares responsibility for the deadly blaze. And it’s true; the warehouse’s owners should’ve done more. They should’ve evicted Almena and cleared out the numerous fire hazards he created. The Ngs also should’ve, at minimum, provided the warehouse with a safe, working electrical system. But the argument made by some that the Ngs should’ve brought the warehouse up to code and convinced the city to allow them to rent it out as housing is unrealistic. The Ngs likely would’ve decided instead to evict everyone rather than spend hundreds of thousands of dollars — perhaps millions — bringing the warehouse into compliance. And even if they spent that much money, the building would’ve then become unaffordable to artists, musicians, and other low-income residents. In fact, that’s been happening across the city since the Ghost Ship burned. As reporter Sam Lefebvre notes in this week’s Express cover story, “Evicted After Ghost Ship,” landlords of unpermitted buildings have been evicting tenants rather than spending large sums to legitimize them. That’s why Almena is much more to blame for last year’s tragedy than the Ngs. Many have also contended that Oakland’s police, fire, and building inspection departments should’ve done more. And there is some truth to that argument — precisely because of Almena’s over-the-top negligence. Although there are many spaces in the city that arguably have unsafe conditions, the hazards of the Ghost Ship were extraordinary. But requiring city employees to determine which spaces are clearly dangerous and need to be shut down — like the Ghost Ship — and which ones only present minor hazards that need to be fixed is not so simple. Such a protocol, if it were established, also could expose the city to further liability, especially if people were to die in a fire in a warehouse that the city had deemed to be not that bad. Oakland officials say they’ve been trying to work cooperatively with property owners to bring their illegal spaces into compliance since the Ghost Ship blaze. But landlords so far have not shown much interest. The costs of doing so are too high. As for the claim by lawyers for some families of victims that PG&E also should be held responsible for allowing the Ghost Ship to operate with a faulty electrical system, that sounds like just an attempt to find deep-pocketed defendants in a lawsuit. Demanding that PG&E shut off electricity to unpermitted warehouses — or risk being on the hook legally — is not a viable solution to Oakland’s affordability problems. The desire by some to assign blame to as many people and agencies as possible for this tragedy is understandable. The Ghost Ship fire was horrific. But the particular set of circumstances surrounding it — Oakland’s affordability crisis and the lack of legal and cheap live-work spaces for artists and musicians — meant that it was incumbent on Almena, more than anyone else, to create as safe a place as possible. He did the opposite. Thirty-six people died as a result. And so did the city’s underground warehouse scene. They’ve said for years that they’re not anti-housing, and on Tuesday night they have the opportunity to prove it by OK’ing a plan to streamline the construction of affordable housing in the city.